Department of Neurology. University of Miami, Miller School of Medicine. USA. Mentor: Dr. Antoni Barrientos, Ph.D.
Department of Genetics, Anthropology and Evolution. University of Parma, Italy. 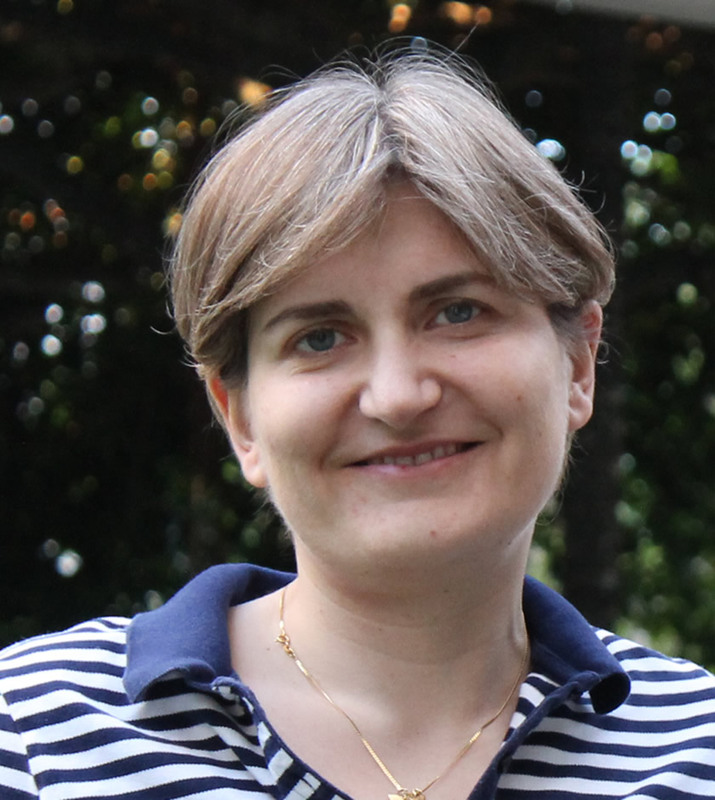 Mentor: Dr. Iliana Ferrero, Ph.D.
Centre de Génétique Moleculaire du CNRS, Gif-sur-Yvette (France). Mentor: Dr. Bernard Guiard, Ph.D.
Institute of Genetics. School of Biology. University of Parma, Italy. 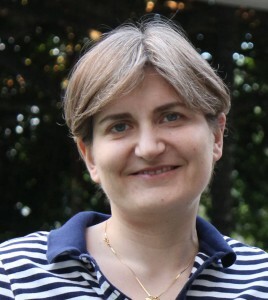 Mentor: Dr. Tiziana Lodi, Ph.D. The title was recognized as equivalent to Master of Science (M.S.) in U.S. In eukaryotes, cellular energy, in the form of ATP molecules, is mostly produced in mitochondria by the oxidative phosphorylation (OXPHOS) system. In humans, OXPHOS defects result in devastating mitochondrial disorders and have been associated to aging and neurodegeneration. The OXPHOS system is formed by the mitochondrial respiratory chain (MRC), composed by enzymatic complexes I-IV, and the F1Fo ATP synthase or complex V. The biogenesis of each mitochondrial OXPHOS enzyme is a complicated and highly regulated process that involves protein subunits encoded in two different genomes (mitochondrial and nuclear) and an extensive and growing number of ancillary factors. In recent years, additional levels of sophistication started to emerge, uncovering multiple interdependent connections amongst the individual components of the OXPHOS system and shifting the perspective from the single complex assembly to the biogenesis of the mitochondrial respiratory machinery as a whole. For example, CIV assembly depends upon a functional ATP synthase and requires the structural presence of the cytochrome c electron carrier, in yeast and mammalian cells. Additionally, biogenesis and function of the MRC involve the dynamic organization of the single complexes in supercomplexes or respirasomes. As a consequence of their organization in respirasomes, structural interdependences exist amongst the individual MRC complexes. In particular, supercomplex formation has been shown to be essential for the assembly/stability of CI in mammalian cells. Supercomplex organization is conserved in mitochondria from lower to higher eukaryotes. However, how respirasomes assemble remains poorly understood. A growing number of observations have suggested that specific respirasome assembly intermediates involving subunits of several complexes could exist in yeast and mammalian cells. Our long-term goal is to attain a complete understanding of respirasome biogenesis, the factors required for this process and the molecular mechanisms interconnecting the assembly of the different components of the OXPHOS system. Mitochondria originated from a symbiotic relationship between a proto-eukaryotic cell and a primitive prokaryote capable of oxidative phosphorylation. During evolution, the large majority of prokaryotic genes has been transferred to the nucleus of the eukaryotic cells or has been lost. However, mitochondria still retain their own genome, which encodes for a handful of proteins, subunits of the OXPHOS system. The expression of these genes is carried out by specialized mitochondrial ribosomes. In the yeast Saccharomyces cerevisiae, mtDNA becomes unstable under a surprisingly broad range of conditions, including defects in mtDNA metabolism, oxidative phosphorylation, mitochondrial translation, fatty acid metabolism, mitochondrial ultrastructure and dynamics, ion homeostasis and transport of molecules across the mitochondrial inner membrane. In many cases, the mechanism/s leading to the alteration of mtDNA integrity is not fully understood and difficult to elucidate. However, a few multicopy suppressors of mtDNA instability have been described in isolated instances. We aim to characterize these suppression mechanisms in a large cohort of yeast mutants for the purpose of better understanding the processes involved in mtDNA maintenance under physiological and pathological conditions. My research is currently funded by the American Heart Association and by a Stanley J. Glaser Award from the University of Miami.